"Yes, I texturize, and I will do my crown whenever I feel like." "If I want a rainbow, I'll color my own hair! Even if I texturized yesterday"
"... And if I get tired of straightened ends, hand me the scissors, I'll just cut them out!" "Of course, I use a comb ... and a brush on my damp hair." "I hate to shampoo, maybe once every 2 months!" "Why don't I shampoo? 'Cause I wet and condition my hair daily, even in the winter!" "Oh ... that conditioner which says I should wash out, I apply daily as my leave-in conditioner." "Hmm ... when last did I get a trim? Let me think!" "Grease ... I love. Pile it on. Results ... sheen and waves!" "Bedtime routine? Roll what? Two strand twist what? Tie what? Umm, wrap what while I sleep? Uh uh ... not me. Can't be bothered!" I've shocked myself and gotten off the creamy crack which in my case was texturizer, ever since I found out I was pregnant with my son over a year ago. 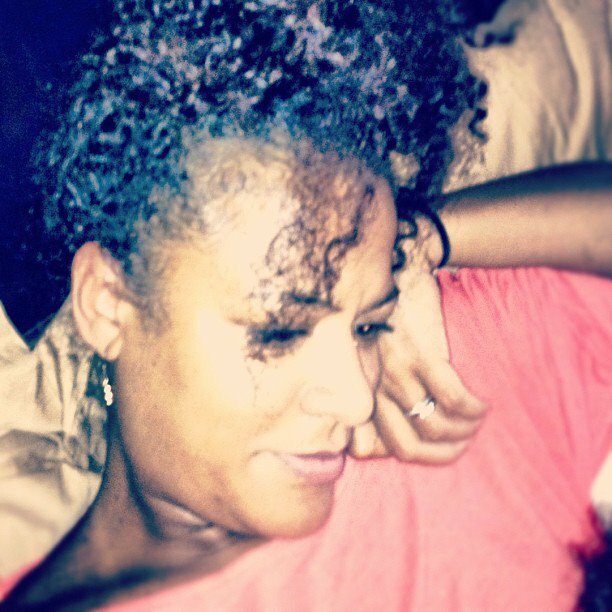 Since the natural hair movement is making a strong statement, I'm beginning to see my awry ways. So I am working on having a far better relationship with my hair which I've noted seems to like the recent, lil' care and attention. And like any relationship, I'm beginning to benefit too, less stress and lovely natural hair! Never had much of a night time routine, until recently, 'the Pineapple Method'. ... And I'm suggesting it because it is simple, works and certainly does not affect my comfort level while sleeping. If only I add the hooded headband to my pineapple routine. Psshh, a leopard can't change its spots overnight! LOL! BTW: Check out 100 Naturalista on Instagram. 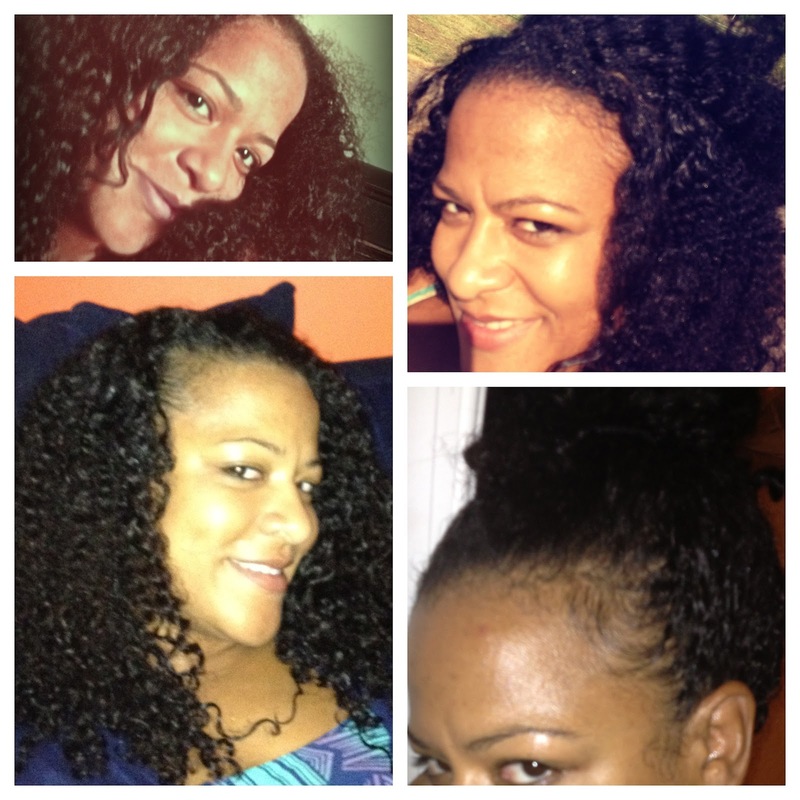 ...And I was recently featured on Curly Nikki's: Show & Tell - Fierce Friday! Thank you for posting this! I recently started wearing my hair in its natural state (haven't touched the creamy crack in over 7 years but flat ironed 2x month)and women approach me on the street to inquire about my routine or curl pattern or and "big cut" date. Let's see, I wash my hair weekly, put a little oil in it, never did a big cut and go about my business. btw, this is my first time commenting but I'm a long time reader of your blog. You and TCD helped to uncover my love of Carnival and soca! 2013 will be my 5th Caribbean Carnival experience and I'm beyond excited. Thanks for leaving this comment. i'm of the belief that it's always best to do what works best for one's hair. Instead of feeling pressured to do what everyone else is doing! Like you, this time around I did not do the big chop but in the past I have gone as short as a male style. In fact, I once had a barber for upkeep. I am glad you like this blog. Sounds liem you are not West Indian. Where are you from? 5 years? ... You're no longer the carnival virgin! LOL! Born and raised in Chicago but consider myself a honorary West Indian.